I hope your spring is starting off great. I always feel more optimistic and energetic in the Spring. I wanted to start off telling you about my friend Brooke Sim's. I was incredibly blessed to get to baptize her in February. I shared her story from my perspective and also added a short paragraph from her perspective explaining why she chose to recommit her life to God. Then I explain a great opportunity for YOU to support our SICM students while also getting to watch talented people perform. I met a girl during one of our TWU FOCUS' in the Fall Semester. 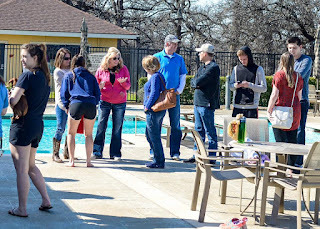 We have somewhere between 20-40 people show up, so you can really tell who is new. I walked over to her and said hi, and I asked her about her life. I'm not sure how exactly it came up, but she told me that she had grown up Christian until high school when she asked why she was a Christian and couldn't find a good answer, so she stopped pursing God. When I met her, she had been living for 3 years as an Atheist. Her life wasn't working out the way she thought it would, so she thought she'd give God another try. I felt strongly that God told me to meet up with her, so I asked her to study FOJ with me and had the pleasure of being involved in her spiritual growth. Brooke is one of the most inquisitive people I've ever met- she asked hard questions and really pushed to know and understand God better. I got to watch her start as an extreme skeptic and be transformed into someone who really loves and wants to follow Jesus. 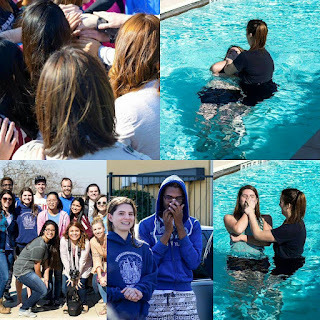 In January, during our final lessons, I asked her if she was ready to recommit her life to Jesus and get baptized, and she said YES (She had been putting it off because she wanted to make sure and not change her mind again!!!) It was so cool. 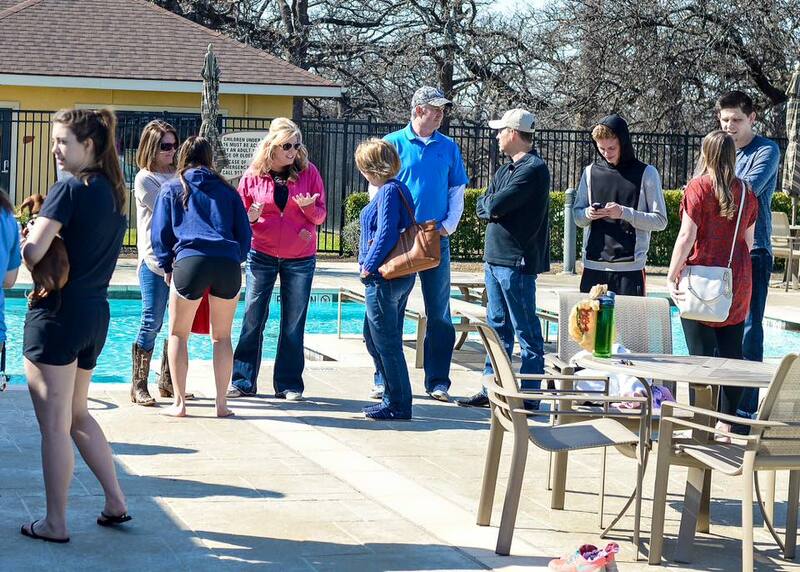 So many TWU and UNT people came to watch her and support her in her decision. The second picture is one of all her family. This is the first baptism I've been to where so many of the family attended. I got to meet them, and they were so sweet and were so proud of the decision she had made. They thanked us profusely for the work that we were doing. Her father said it was scary watching their little girl go away and start living life differently than how they had raised her, and it was so cool that people were at her school, trying to point her back to Jesus. Every year the FOCUS staff puts on a fundraiser to help raise money to send potential student leaders to a conference in Bellingham, Washington. This week long conference focuses on how the students can be more effective in ministering on their campuses. I think sending our students to another state and having them interact with another ministry also shows them how big God really is. As someone who has gotten the opportunity to go, I can't begin to tell you how amazing the experience is and how informative the lessons are. I'm extremely proud to announce the Spring Showcase. Our interns have worked hard at compiling talented artists to donate their time and gifts and put together a fantastic event. It's going to be a really fun event, and I'll hope to see you there! Thanks for reading and supporting the vision our organization has. I definitely don't say it enough, but the work you do is instrumental. None of this would be possible without the roles you play.